[CDU ESL 연예뉴스 잉글리시 스캔들] 엠블랙 지오, 솔로 출격! 엠블랙의 지오의 소속사 제이튠 캠프는 14일 오전 공식 트위터를 통해 지오의 솔로 컴백곡 ‘Play that song’의 티저 이미지(사진)를 공개해 기대감을 높였다. 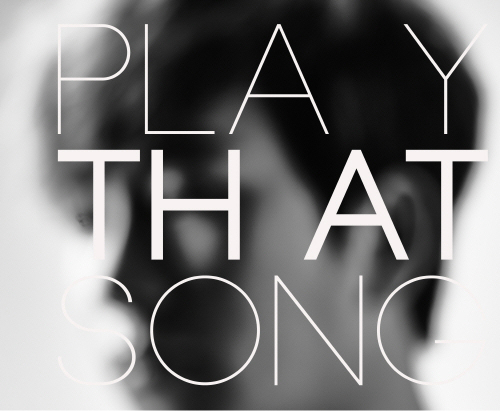 ‘Play that song’의 음원은 오는 20일 낮 12시에 공개된다. 이날 공개된 컴백 이미지는 지오의 몽환적이면서 감성적인 분위기를 표현하고 있어 눈길을 끌고 있다. 특히 지오의 흐릿한 사진위로 뚜렷하게 적혀있는 컴백곡의 제목처럼 ‘Play that song(이 노래를 틀어봐)’라는 당당한 문구는 곡에 대한 기대감을 고조시킨다. 소속사 제이튠 캠프 측은 “지오의 솔로 컴백곡 ‘Play that song’은 세계적인 피아니스트 이루마가 프로듀싱한 곡으로 지오는 이 곡을 통해 보컬리스트적인 면모를 선보일 예정”이라고 말했다. ‘Play that song’은 이별 후에 지난 사랑을 간절히 그리워하는 애틋한 심정을 담은 미디움 템포의 R&B곡으로 지오는 섬세한 감정표현을 자연스레 곡에 녹였다는 평이다. 한편, 엠블랙은 오는 11월 23일에 있을 2013 글로벌투어 ‘Sensation’ 서울 공연 준비에 박차를 가하고 있다. Ji Oh’s company, J. Tune Entertainment released a teaser of his solo comeback song ’Play that song’ through a twitter last November 14 and made the expectation high. ’Play that song’ will be opened at 12 on November 20. The image released expresses Ji Oh’s dreamlike and emotional atmosphere. J. Tune Entertainment said "’Play that song’ is produced by a world renowned pianist, Iruma. He will show aspect as a vocalist through this song." ’Play that song’ is about ardent love missing last sweet after breaking up. It’s an R&B of a medium tempo. He reflected delicate feelings into a song naturally. He’s spurring to prepare of 2013 global tour concert ’Sensation’ on November 23 in Seoul.